For Brunch and breakfast and all other reasons you would fine to celebrate, Our chefs would professionally prepare omelets in front of your guests’ eyes. We pride ourselves in providing a professional, friendly environment with our brigade of French Chefs. For brunches, we are usually combining our Crepes and omelet stations to offer a savory and a sweet component to your party. Our Omelet station can also be ordered individually. 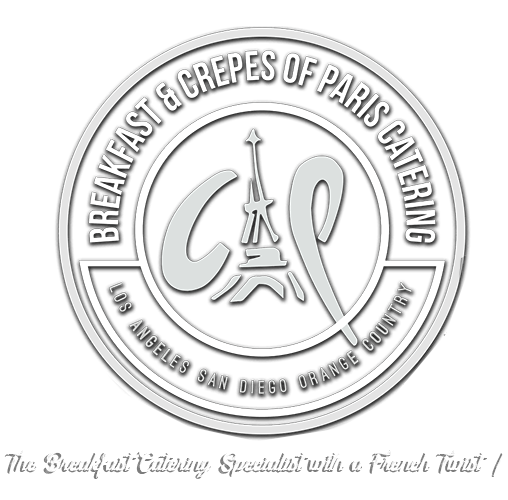 Breakfast & Crepes of Paris Catering provide a professional, and entertaining service for your event from birthdays, baby shower, bridal shower, anniversaries, weddings or corporate events in Los Angeles, San Diego and Orange County.